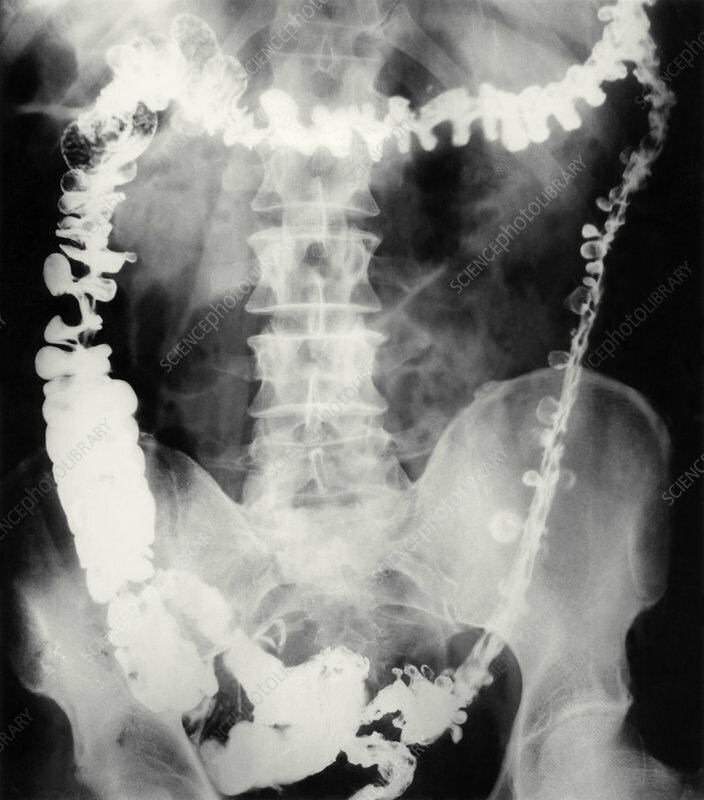 Colonic diverticular disease: barium contrast X- ray showing numerous diverticula along the length of the descending colon (right). Diverticula are small pouches that may develop at weak points throughout the length of the gut wall, their frequency increasing with age. Diverticular disease refers to the lower abdominal pain & disturbed bowel habit associated with the presence of diverticula. Pain is caused by spasm in the intestinal muscles rather than any inflammation in the diverticula.